Zac's Cell Division can be smited, so you can kill him with it if you are too slow to auto attack them before they come back together. 802754 Unawesomeness [[Zac]]'s [[Cell Division]] can be smited, so you can kill him with it if you are too slow to auto attack them before they come back together. Out of the jungle, I would only consider running Smite on Sion for health/gold farming. Not very efficient, but sometimes I just don't have much need for another summoner spell. 352294 snakeman830 Out of the jungle, I would only consider running Smite on Sion for health/gold farming. Not very efficient, but sometimes I just don't have much need for another summoner spell. ^ Tibbers... and most of Tibbers' damage comes from the drop the AoE and Auto-attacks isn't much. 261266 Wigluf ^ Tibbers... and most of Tibbers' damage comes from the drop the AoE and Auto-attacks isn't much. You can use Smite to get Timbers away in team fights or in simple 1v1, getting Timbers away in Teamfights is alot of damage reduced. 219957 goldenheimer You can use Smite to get Timbers away in team fights or in simple 1v1, getting Timbers away in Teamfights is alot of damage reduced. 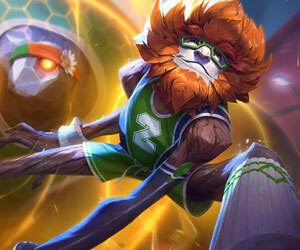 The change to Smite actually slightly hurt both Amumu and Fiddlesticks, but was fine for everyone else. 90865 Jebus McAzn The change to Smite actually slightly hurt both Amumu and Fiddlesticks, but was fine for everyone else. @^: Yeah it only counts for spell vamp which is achieved with Vicious Strikes or some items. @^: It counts for spell vamp I believe, not life steal. 69014 Adonikam @^: It counts for spell vamp I believe, not life steal.